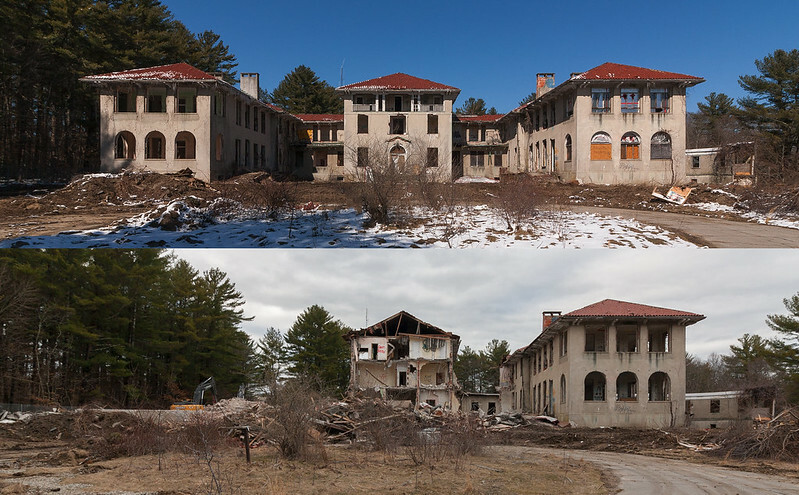 The old Plymouth County Hospital on High Street in South Hanson, MA has been under active demolition since March 28, 2017. Of course since I live there I have been taking pictures of the progress. Very sad! Any more pictures?